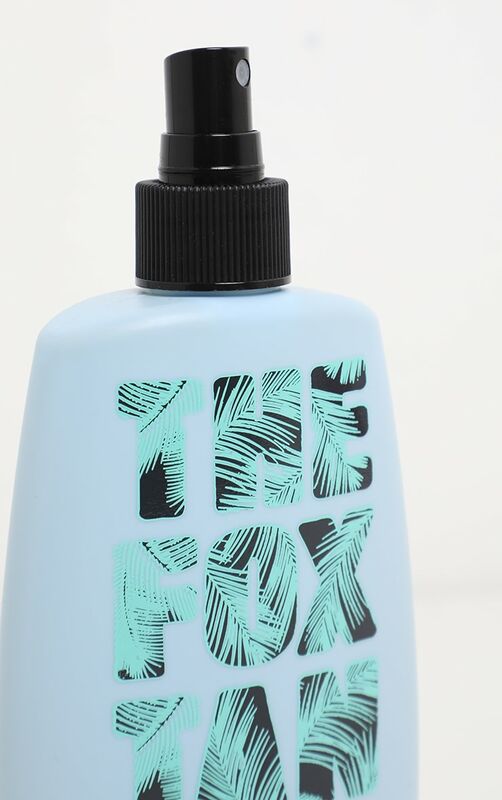 The Fox Tan have bottled the cult favourite original scent into an all year round Body Spray. 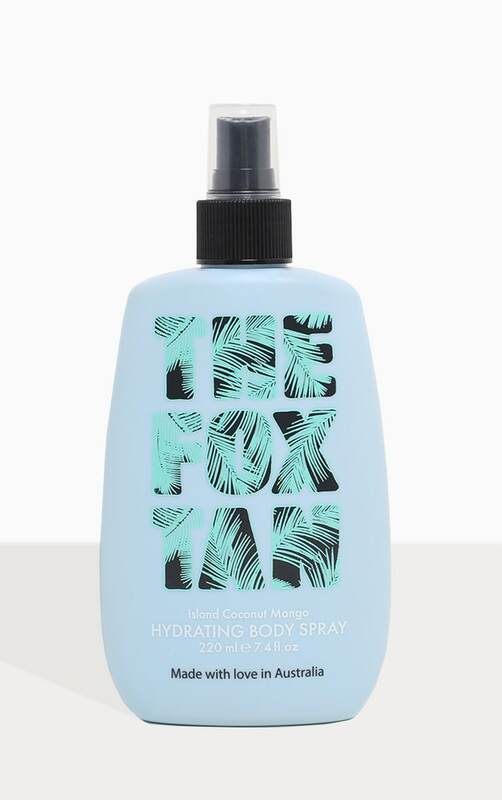 But this isn’t just an ordinary body spray, it’ll revive dehydrated, dull, sun basked skin anywhere, anytime. It’ll transport you to an island of tannin’, beachin’, sunnin’, and sippin’ pina coladas. 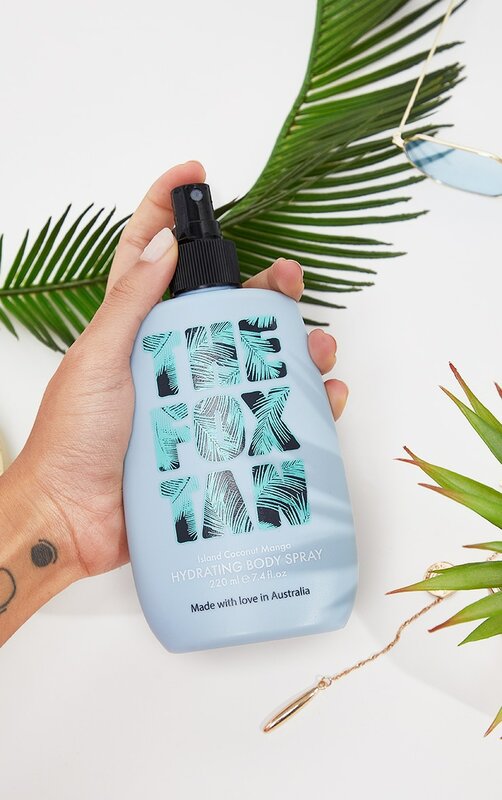 Spray on face and body anytime, anywhere… literally! Keep it in your handbag, in your gym bag, at your desk, wherever you want a hit of hydration. Keep in the fridge for an extra refreshing & cooling boost. Aloe Barbadensis (Aloe Vera) Leaf Juice, Aqua (Purified Water), Glycerin, Polysorbate 20, Rosa Damascena (Rose) Flower Water, Grevillea Speciosa (Red Spider) Flower Extract, Banksia Serrata (Banksia) Flower Extract, Anigozanthos Flavidus (Kangaroo Paw) Flower Extract, Terminalia Ferdinandiana (Kakadu Plum) Fruit Extract, Podocarpus Elatus (Illawarra Plum) Fruit Extract, Pleiogynium Timorense (Burdekin Plum) Fruit Extract, Sodium Dehydroacetate, Allantoin, Phenoxyethanol, Parfum, Citric Acid, Coumarin, Limonene, Linalool.